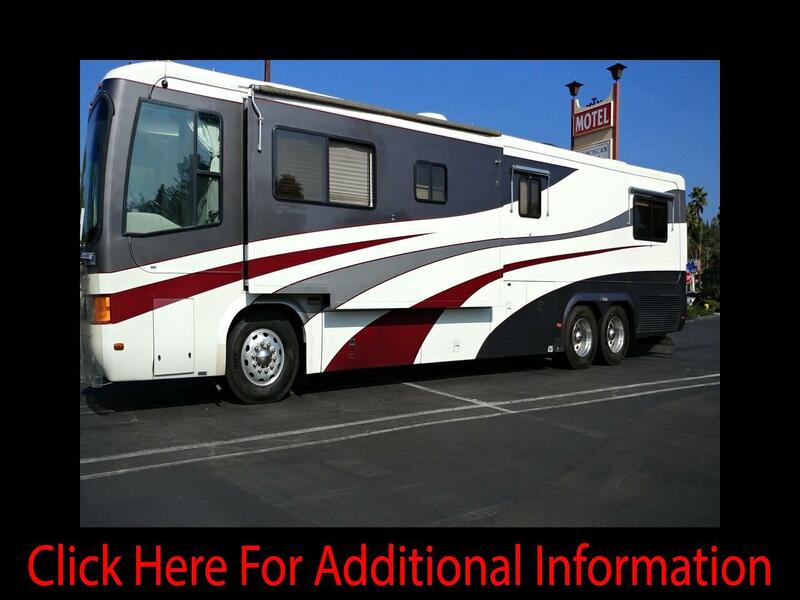 1999 Monaco Signature 42 Classic Diesel Pusher for Sale in Vista, Calif. 450 HP Cummins w/only 20,675 Miles, Roadmaster Chassis, 6-Sp. Allison Trans. 12.5 Onan Gen. w/735 Hrs, New Batteries, Aqua hot water System, Hydraulic Leveling System, 1-Slide Out, Window Awnings, 10K Tow Capacity. 2-Pass Through Storage Bays w/Slide Trays, Hi/Low Jake Brake, Heated Mirrors, Backup Camera, Front & Rear Fiberglass Caps & 1-Piece fiberglass Roof, Tinted Dual Pane Windows, Aluminum Wheels & 50 AMP Power Cord w/Power Reel. 1 Piece Windshield, Manual Patio Awning & Front Safety Shield. Owner Motivated to Sell and Price has been recently Reduced-Reasonable offers will be Considered! Location of Coach is: Vista, Calif. Vin: 1RF12061XX1015326 Looking for Financing-Contact Dana Zimmerman at Credit Union of Denver 303-239-118four. Message: Thought you might be interested in this 1999 Monaco Signature Series.